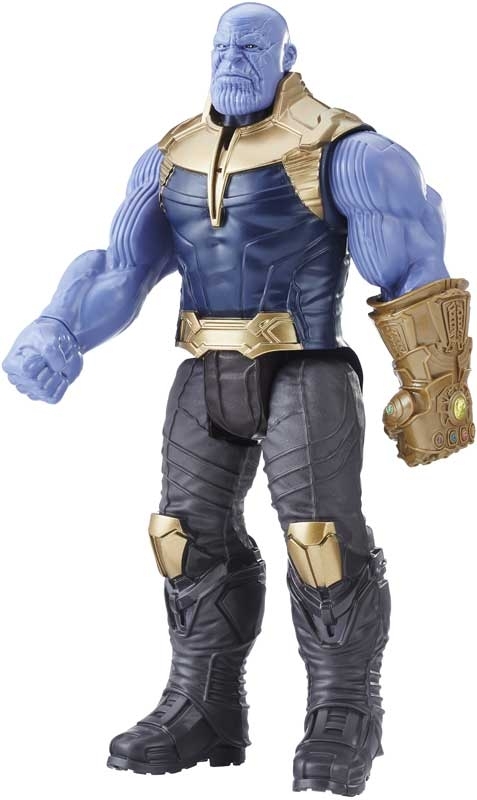 A mighty being bent on universal destruction, Thanos throws the galaxy into chaos with his all-powerful Infinity Gauntlet. 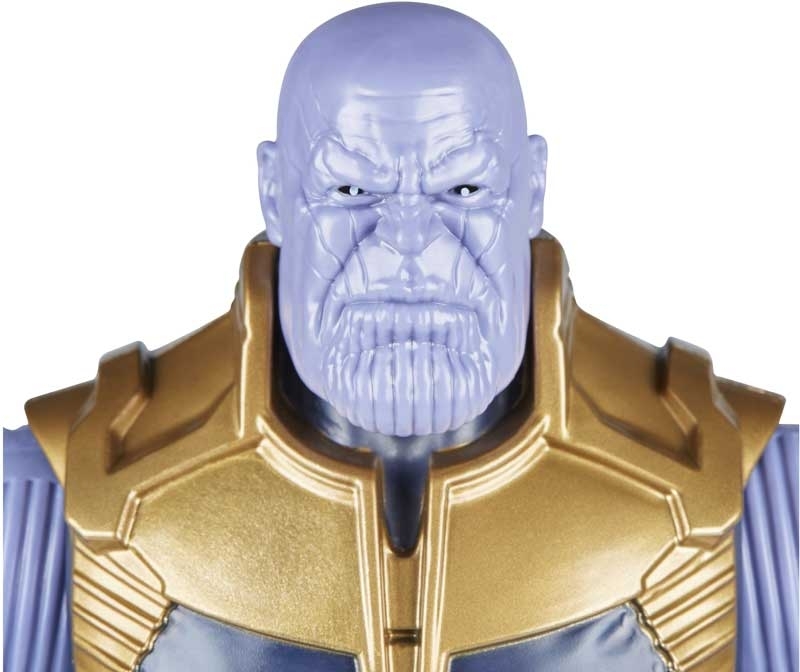 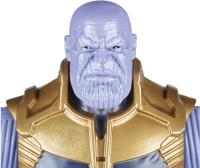 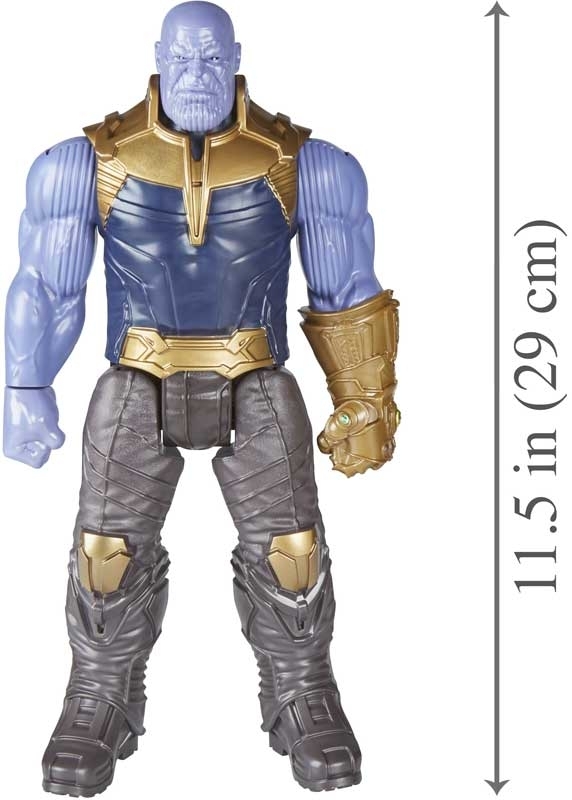 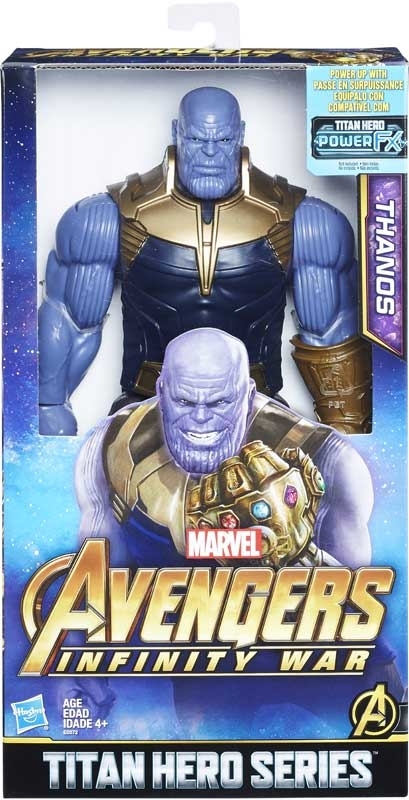 Imagine the Mad Titan roaring across the galaxy with the 12-inch scale Thanos figure from the Titan Hero Series, inspired by the Avengers: Infinity War movie. 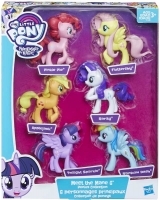 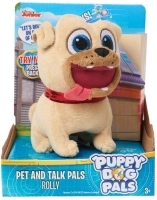 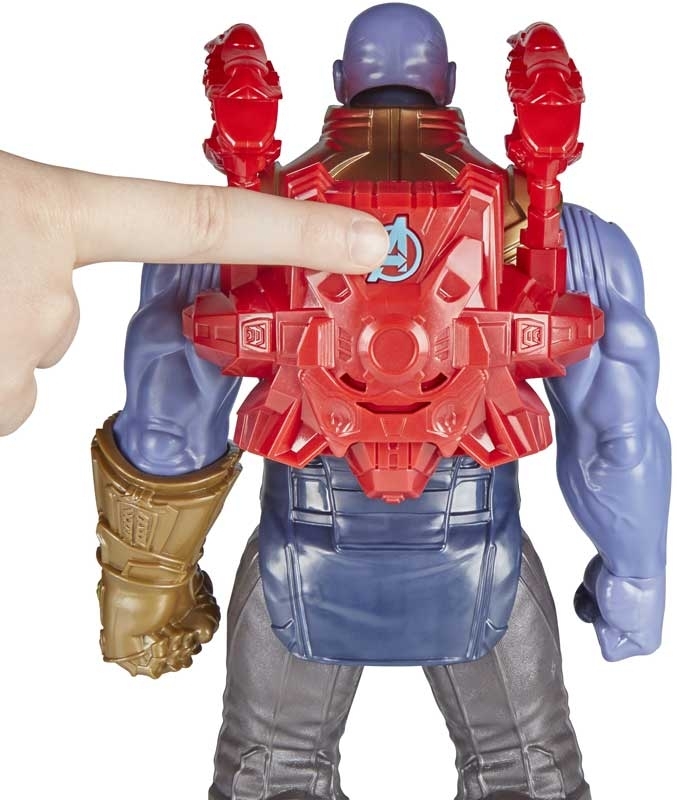 This figure includes a port for the Titan Hero Power FX pack (not included; sold separately with Titan Hero Power FX figures) so when kids connect the pack, they can power up their figure and activate character-specific sounds and phrases from Avengers: Infinity War!